One of the best-loved comedies ever written, Twelfth Night is perhaps Shakespeare's most lyrical as well as most experimental play. This Penguin Shakespeare edition is edited by M. M. Mahood with an introduction by Michael Dobson. Separated from her twin brother Sebastian after a shipwreck, Viola disguises herself as a boy to serve the Duke of Illyria. Wooing a countess on his behalf, she is stunned to find herself the object of his beloved's affections. With the arrival of Viola's brother, and a trick played upon the countess's steward, confusion reigns in this romantic comedy of mistaken identity. 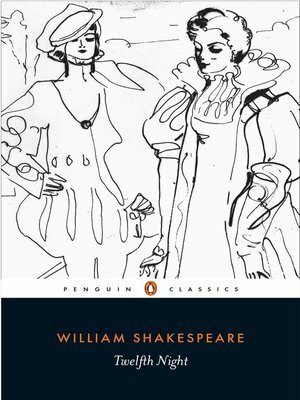 This book contains a general introduction to Shakespeare's life and Elizabethan theatre, a separate introduction to Twelfth Night, a chronology, suggestions for further reading, an essay discussing performance options on both stage and screen, and a commentary. William Shakespeare was born some time in late April 1564 in Stratford-upon-Avon and died in 1616. He is widely regarded as the greatest writer in the English language and the world's pre-eminent dramatist. Stanley Wells is Emeritus Professor of the University of Birmingham and Honorary President of the Shakespeare Birthplace Trust. Michael Dobson is Director of the Shakespeare Institute and Professor of Shakespeare Studies at the University of Birmingham.